Berkshire Hathaway HomeServices is one of the largest real estate brokerages in the country. As the brand expanded into Ohio, they knew they needed to make a good first impression. 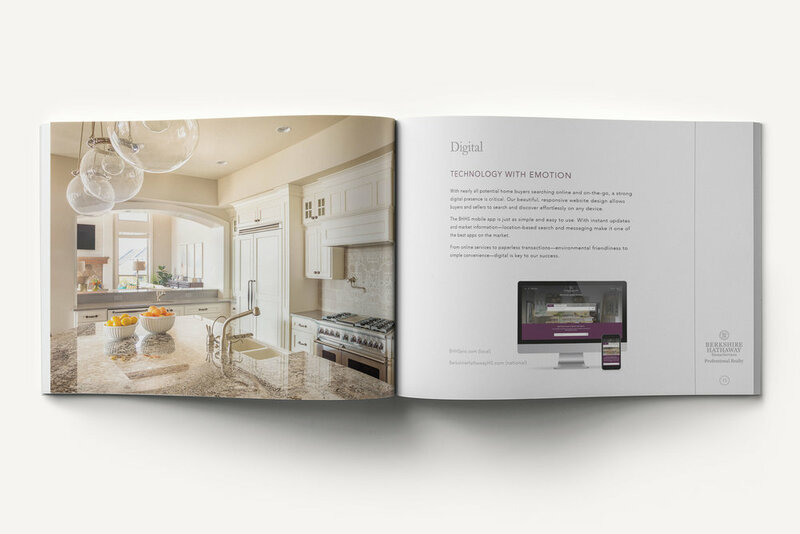 This 34 page book serves as their core piece of marketing and storytelling. Beautiful images and succinct writing demonstrate the Berkshire Hathaway HomeServices value and difference. Whether an agent is sitting down with a potential seller or buyer, this comprehensive narrative is their guide. Below are a few spreads highlighting the design and content of the book.